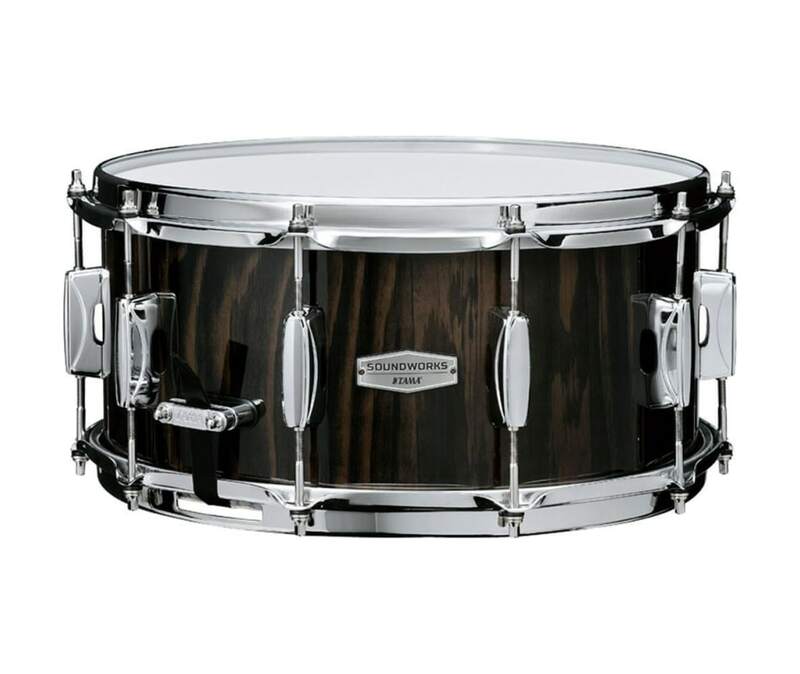 This Limited Edition Soundworks snare drum features a Lacebark Pine outer ply. Its high-class look finish "Black Lacebark Pine" enhances its beautiful unique wood grain. The 6.5"x14" all maple shell provides a rich open tone with full resonance. The easy to handle shell hardware such as the 1.6mm Triple Flange Hoop, One-piece Lugs and Quick-Touch Strainer are ideal for beginners. Comes equipped with Evans G1 Coated and Snare Side Heads.